If you’re a Port Mandurah resident and care about your neighbourhood, please consider joining the committee. We meet every 6 weeks or so for a couple of hours, on a day/time to suit all committee members. You don’t need any specific skills, just a willingness to work as part of a team, and a commitment to attend at least 50% of the meetings. If you have a particular interest in social events, the Christmas season or the waterways, you can also join one of these subcommittees if you wish. The Friends of Samphire Cove meet on the last Sunday morning of each month at 9.00am to take care of the nature reserve in Egret Point (down Leisure Way). 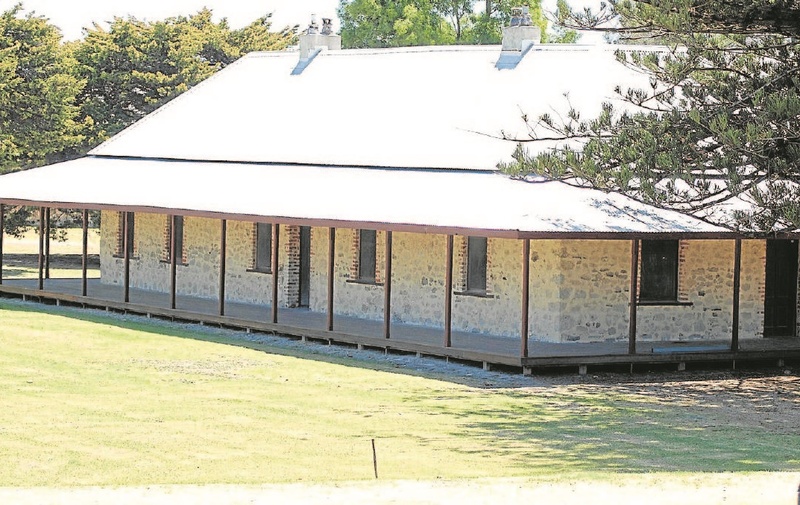 Sutton Farm is a heritage-listed place dating from the 1860s comprising a homestead building, single men’s quarters and a barn, as well as significant trees. The development plan was adopted in 2017 subject to certain modifications. To keep the entrances of the Port Mandurah canals open it has always been recognised that some degree of dredging would be required and that is why we have a reserve account within the SAR structure to pay for periodic dredging and annual surveys of accretion. Since the agreement that was made in the 1990s, there have been significant changes in the estuary circulation patterns and sediment sources, e.g. the Dawesville Channel, the regrowth of Fairbridge Bank, and issues with sand bypassing at the Northern Entrance. These have altered the rate of siltation of the entrances which were originally estimated to require dredging every 5 years. • To view the Department of Transport’s coastal engineering assessment and recommendations regarding the formation of sand bars outside the Mandurah entrance channel please click here. 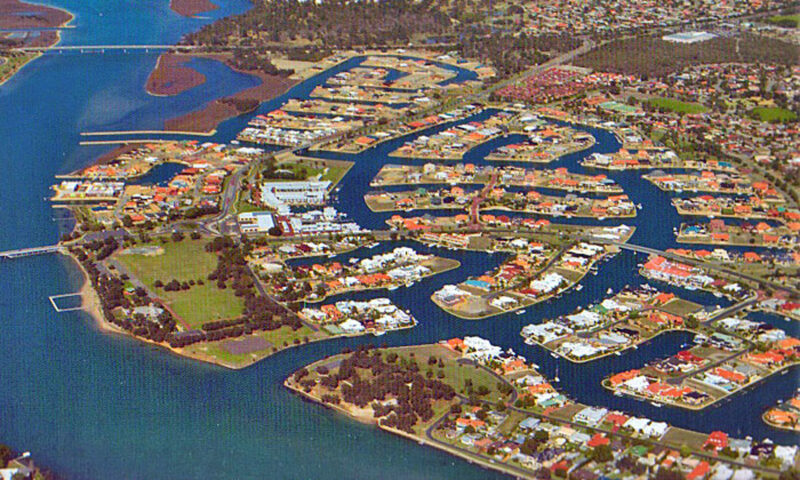 PMRA spent many years advocating for a transfer of jetty administration to the City of Mandurah. We believe that the City already does most of the work and could receive over $300,000 revenue per year. This issue is now in the hands of the City of Mandurah. There is a section of Mary Street where the speed limit increases from 50km/h to 60km/h for a short stretch. PMRA supports the residents in this locality to have the speed limit reduced to 50km/h. If you would like to add your name to the petition being organised by Ted Ion in Baruna Court, please click here. We have an agreement with the City of Mandurah that ALL Port Mandurah residents who pay the Specified Area Rate (SAR) automatically become members of PMRA, giving residents equal opportunity to provide direct input on how our SAR reserves are calculated and spent. Importantly, we no longer collect annual subscriptions. Instead, a small amount (about $5 per year per household) will be charged through the City to the SAR account to administer PMRA. We are supported by an amazing group of sponsors who provide funds and services in kind to help offset the running costs of PMRA. This enables us to subsidise our social events and Christmas functions including Santa Afloat. 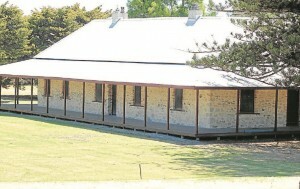 PMRA has several volunteers who, whilst out walking, regularly pick up litter in the precinct. 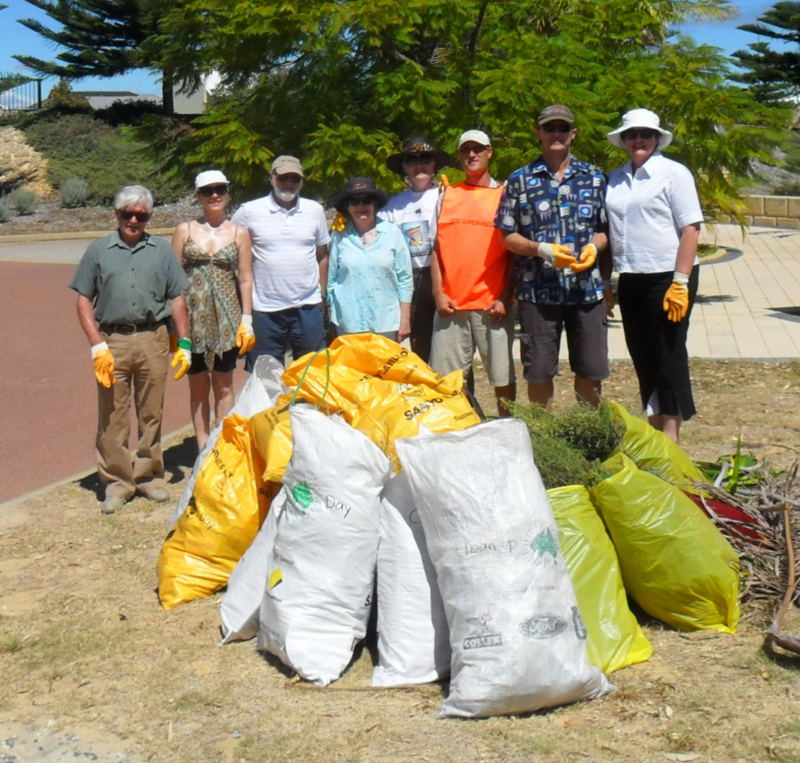 On Clean Up Australia Day in March, the committee and a few friends collected dozens of bags of rubbish; a few of whom are pictured below. The City of Mandurah pays PMRA $650 a year for keeping the streets of Port Mandurah clean. Our thanks go to John Randall who picks up rubbish on a twice daily basis.